I LOVE THIS BUNNY. IT'S SO CUTE. Hi Bunny! 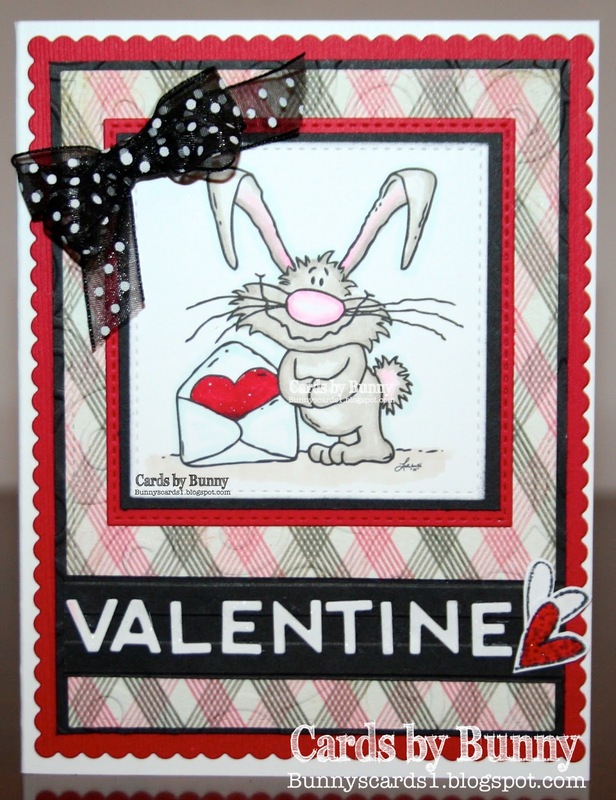 I just love your sweet bunny card. Thanks so much for sharing it in our challenge. I always LOVE seeing your creative work, and I thank ou for playing along. Have a blessed week, and please join us again soon. Fab card...who could resist that bunny!!! Thanks for joining us at Crafty Calendar this month. How adorable is this!!!!!! It's perfect! You did the hard work by drawing it. I only colored it. I do love this image, Roberta. Great card. I love the image, so cute. The layout and the papers are beautiful. Thanks for sharing with us at Inspiration Destination this week. Good luck!!! Patricia. Great fun card. Thanks for entering our 'Girlie' challenge at Ooh La La creations. So very pretty and lovely colours for Valentines Bunny. Many thanks for joining us at Allsorts this week. This is fabulous, such a brilliant image.